Published by Ward, Lock & Co. Ltd., Warwick House, Salisbury Square, London circa 1905. London circa 1905. 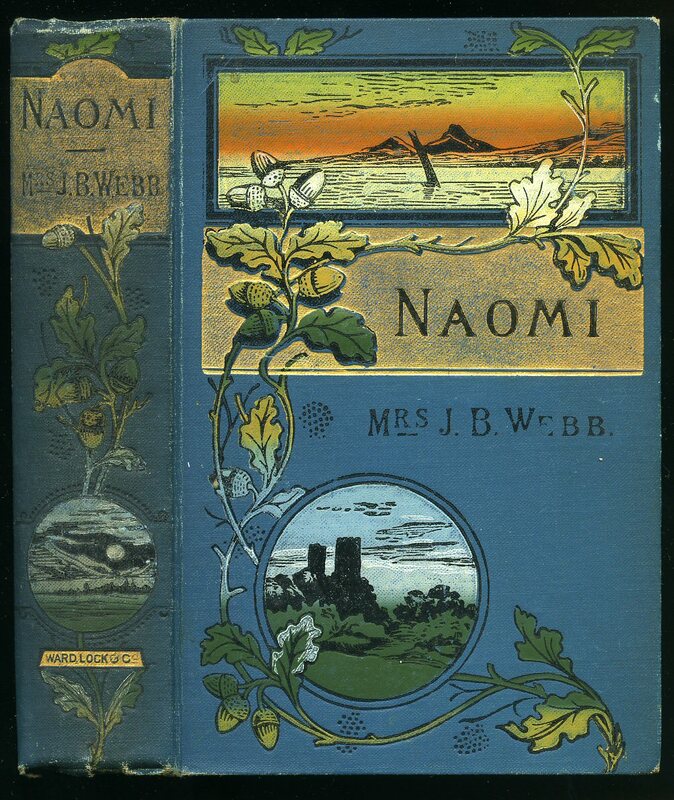 Hard back binding in publisher's original aqua blue cloth covers, gilt title and author block lettering and over printed middle eastern scenes to the spine and the upper panel, bottle green end papers. 8vo. 7½'' x 5½''. 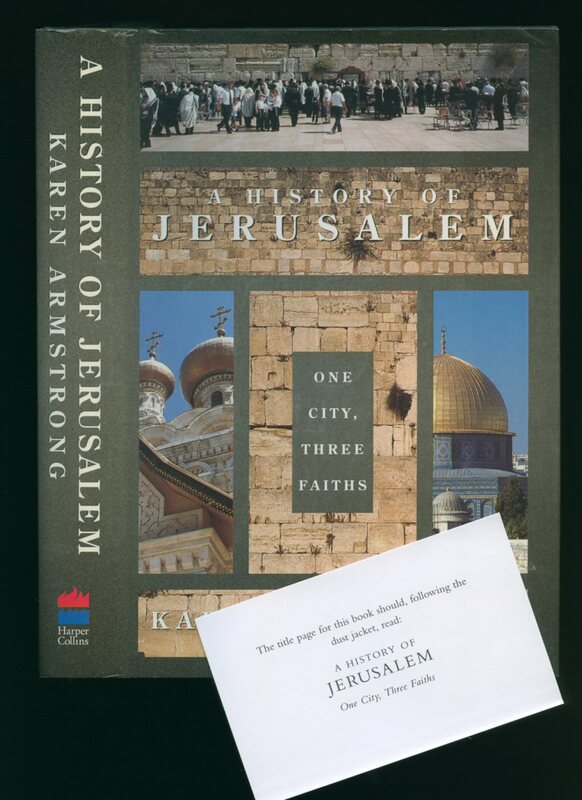 Contains 351 printed pages of text with tissue frontispiece. Spine ends and corners a little rubbed, ink without any ownership marking to the half-title page, spine a little darkened and in Very Good condition, no dust wrapper. Member of the P.B.F.A. Published by The Religious Tract Society 4 Bouverie Street and 65 St. Paul's Churchyard, London 1891. 1891. Hard back binding in publisher's original sage green cloth covers, gilt title lettering to the spine and the upper panel, top edge gilt. Quarto 10'' x 8''. Contains [xvi] 384 printed pages of text with 150 monochrome illustrations from original photographs by the author, colour map. 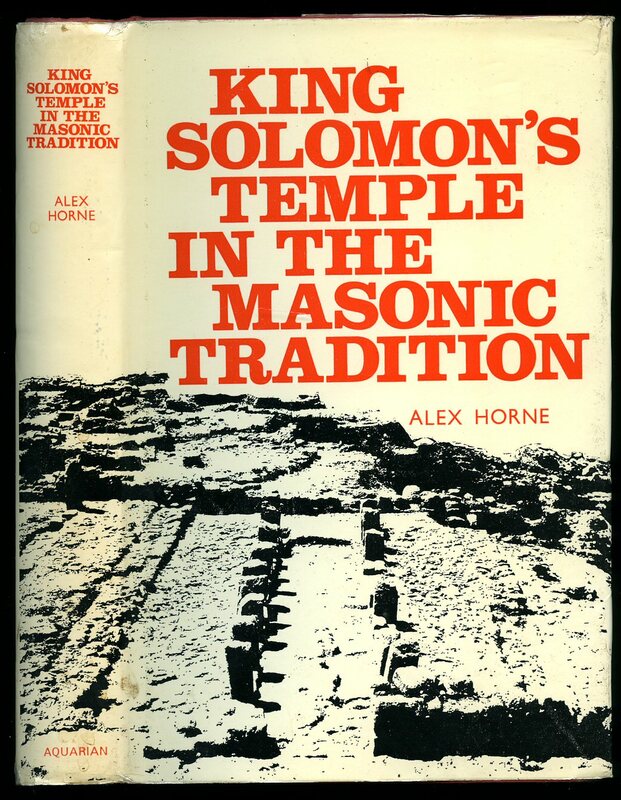 Light foxing to the end papers, 15 mm tear of the cloth to the top of the front gutter, rubs to the corners, without any ownership markings and in Very Good condition. Member of the P.B.F.A. Macy, S. B. [William Francis Deedes, Baron Deedes, KBE MC PC (1 June 1913 - 17 August 2007) was a British Conservative Party politician, army officer and journalist; he is to date the only person in Britain to have been both a member of the Cabinet and the editor of a major daily newspaper, The Daily Telegraph]. 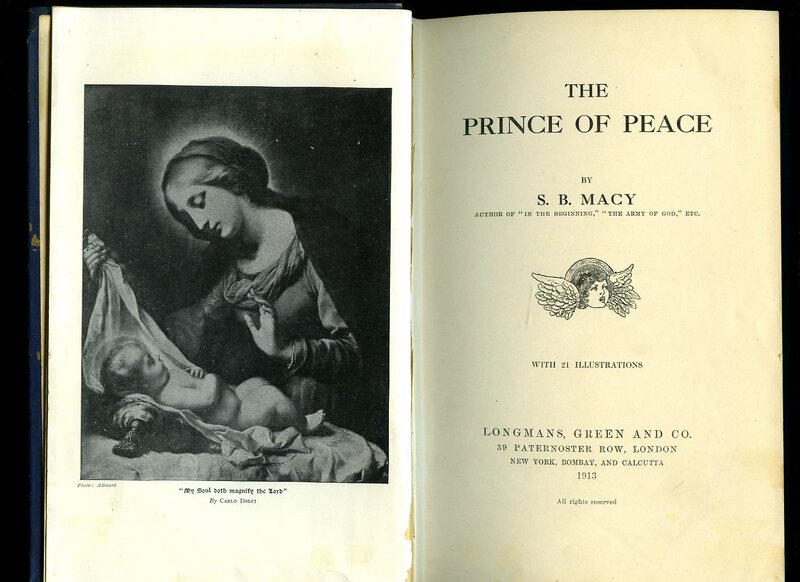 Published by Longmans, Green and Co. Ltd., 39 Paternoster Row, London First Edition 1913. 1913. First edition hard back binding in publisher's original navy cloth covers, gilt title and author lettering to the spine and to the front cover. 8vo. 9'' x 6''. Contains [xvi] 548 printed pages of text with frontispiece and 20 full-page monochrome illustrations throughout. Spine age darkened, rubbing to the cover corners, contents in Fine condition. From the private estate of Bill Deedes with his mother's name to the front free end paper 'Gladys Deedes 1920', no dust wrapper. Member of the P.B.F.A. 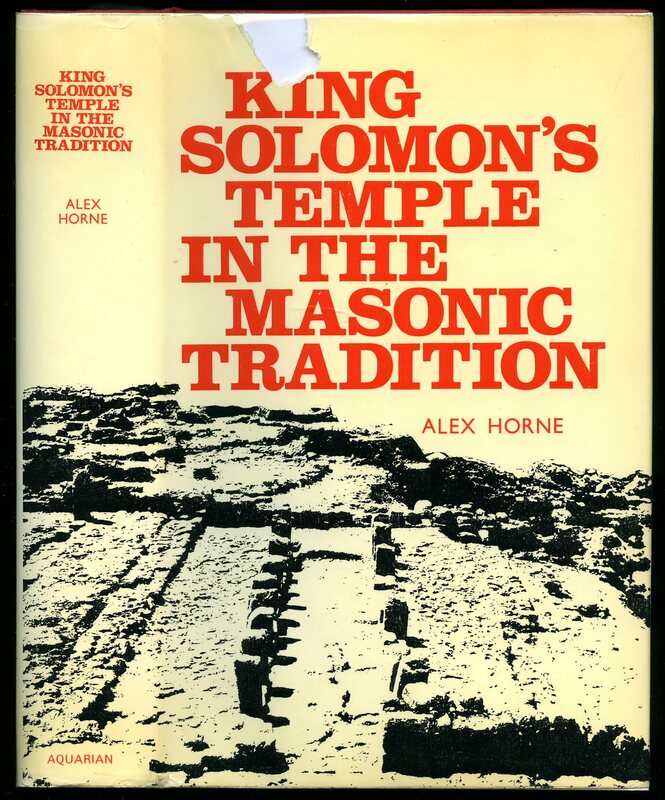 Published by the American Council on the Middle East 1969. 1969. 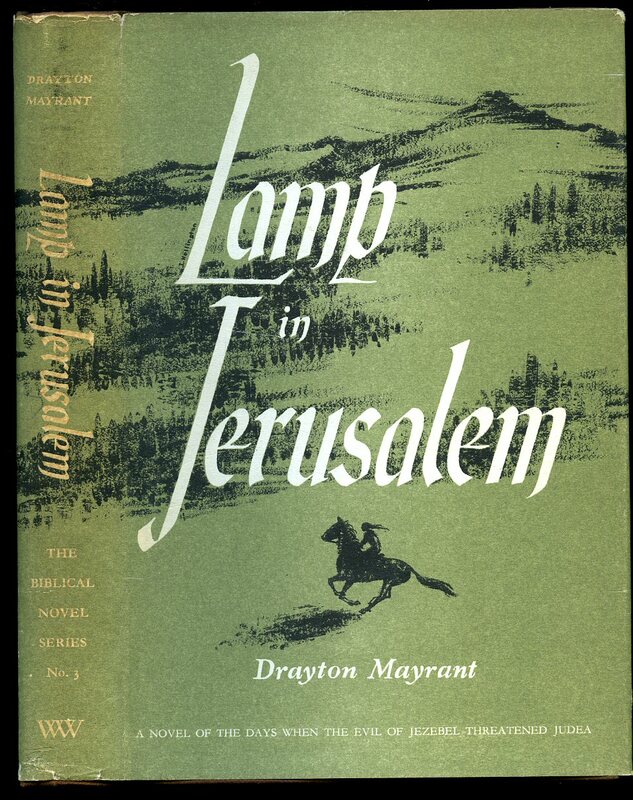 Publisher's original stapled light green card wrap covers. 8vo 8½'' x 5¼'' 16 pp. In Very Good clean condition, no dust wrapper as published. Member of the P.B.F.A. 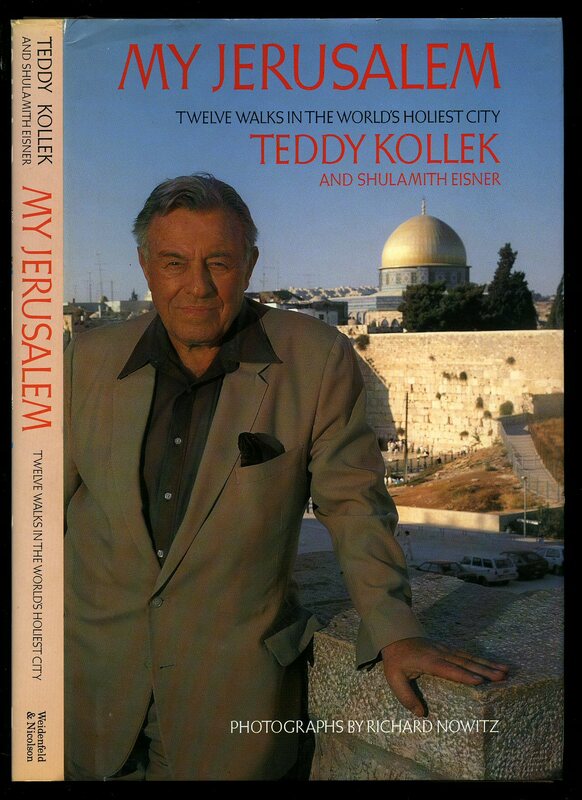 Published by Jerusalem and The East Mission London. Publisher's original stapled paper covers. 8vo 7'' x 5'' 36 pp. Monochrome illustrations throughout. Free from inscription and in Fine condition, no dust wrapper as published. Member of the P.B.F.A. Published by The Aquarian Press Wellingborough Second Impression 1973. 1973. 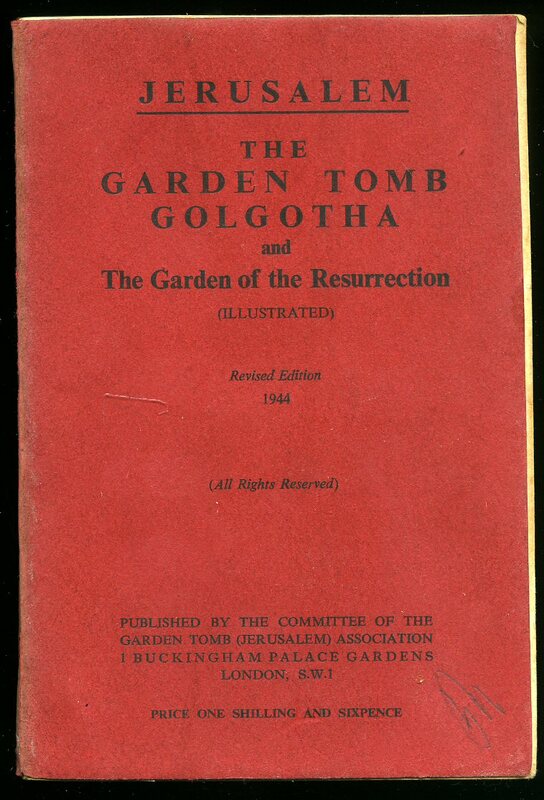 Published by The Committee of the Garden Tomb Association, London 1944 Revised Edition. London 1944. Publisher's original plain maroon card covers, black lettering to the spine and the upper panel. 8vo 7½'' x 5¼'' 38, ii [pp]. Monochrome illustrations throughout. Pencil name to the front free end paper and in Very Good condition, no dust wrapper as published. Member of the P.B.F.A. 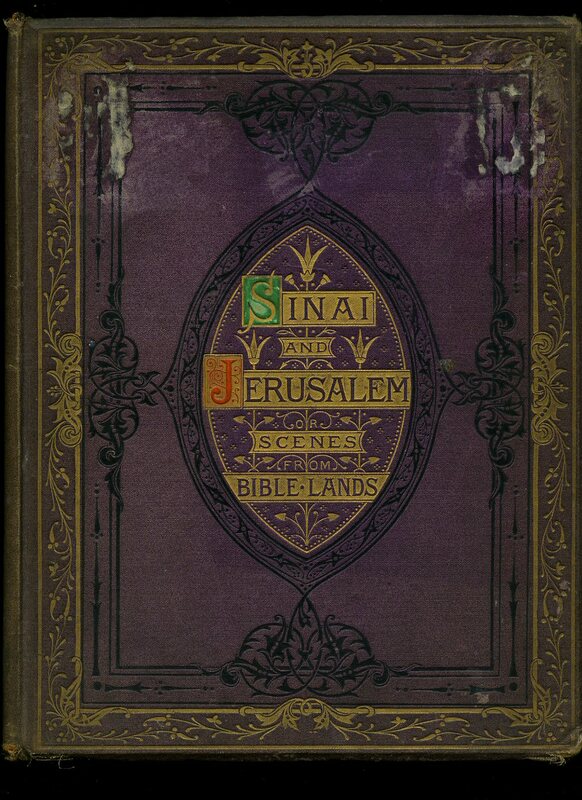 Published by Society for Promoting Christian Knowledge, Northumberland Avenue, London circa 1890. 1890. Hard back binding in publisher's original aubergine cloth covers, gilt lettering and designs to the upper panel, all page edges gilt. Quarto. 11'' x 9'' 52 pp. 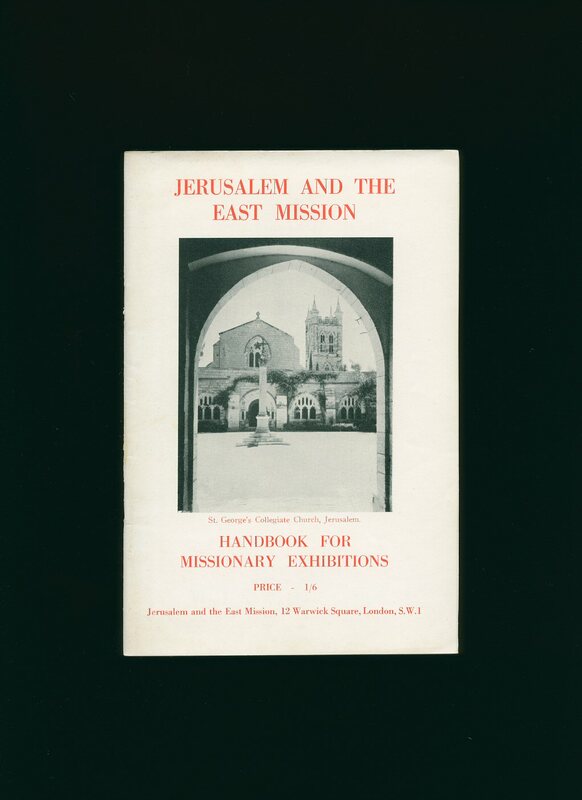 11 [of 12] paper guarded colour illustrations throughout, with view of Jerusalem missing. Rubbing to the corners and spine ends, soiling to the covers, contents clean and without foxing. This book is not signed by the author. Member of the P.B.F.A. 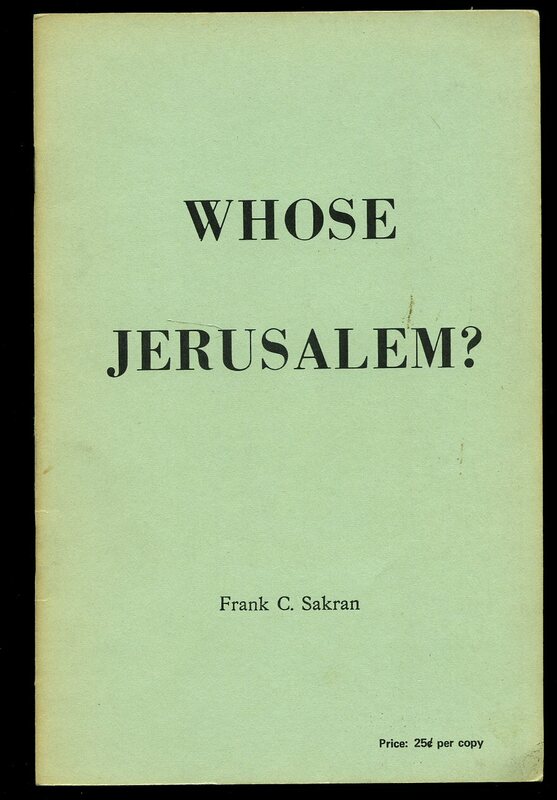 Published by Steimatzky's Agency Ltd., Jerusalem 1968. 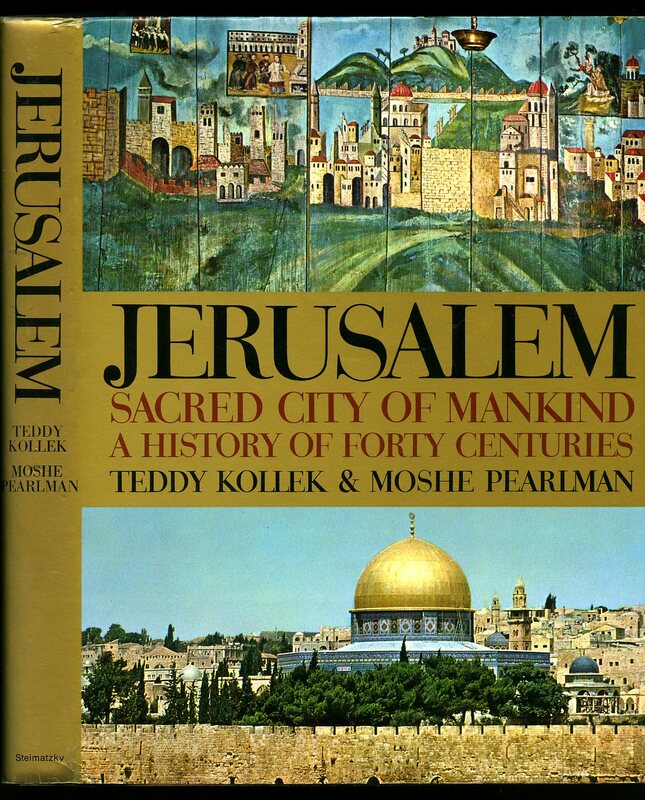 Jerusalem 1968. Hard back binding in publisher's original finely grained khaki cloth covers, gilt lettering to the spine and the upper panel, illustrated end papers. Quarto 10'' x 8'' 287 pp. Colour and monochrome illustrations throughout. Message to the half-title page. Near Fine condition book, in Fine condition dust wrapper. Dust wrapper supplied in archive acetate film protection, this protects and prolongs the life of the paper, it is not adhered to the book or to the dust wrapper. Member of the P.B.F.A. Published by The Aquarian Press Wellingborough Third Impression 1975. London 1975. Published by HarperCollins 77-85 Fulham Palace Road, Hammersmith, London First Edition 1996. London 1996. 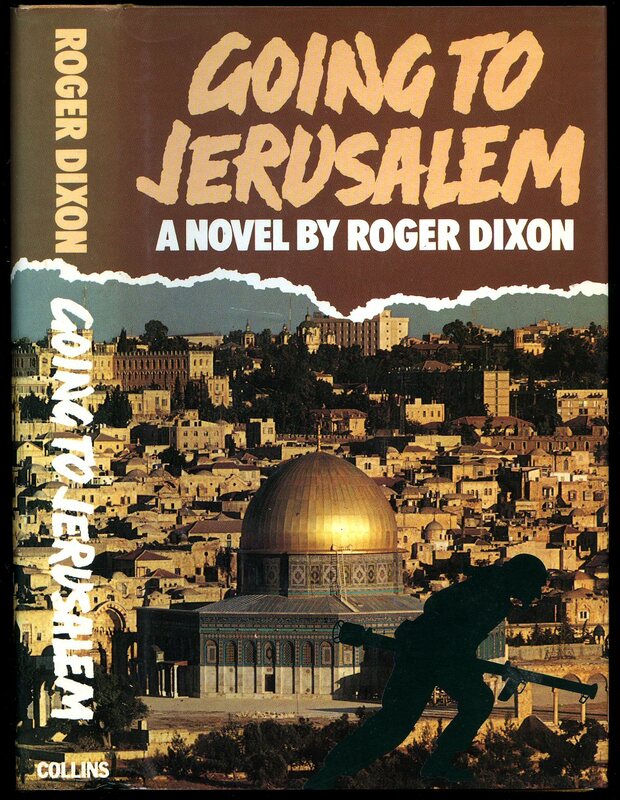 Published by Collins 14 St. James's Place, London First Edition 1977. London 1977. 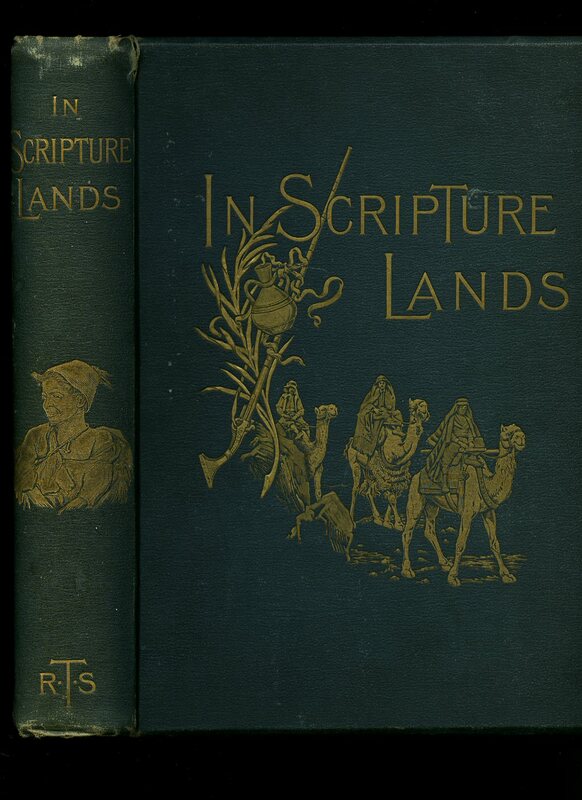 First edition hard back binding in publisher's original caramel paper covers, gilt lettering to the spine. 8vo. 9'' x 6''. ISBN 0002214202. Contains 224 printed pages of text. Tiny bump to the foot of the spine, without any ownership markings. Fine condition book, in Fine condition dust wrapper, not price clipped. Dust wrapper without any tears or chips and supplied in archive acetate film protection, this protects and prolongs the life of the paper, it is not adhered to the book or to the dust wrapper. Member of the P.B.F.A. Published by George Weidenfeld and Nicolson Ltd., 91 Clapham High Street, London First Edition 1990. London 1990. Published by The World's Work Ltd., Kingswood, Surrey First Edition 1957. Surrey 1957. First edition hard back binding in publisher's original brown paper covers, gilt title and author lettering to the spine. 8vo. 8½'' x 5½''. Contains 248 printed pages of text. Without any ownership markings. Fine condition book, in near Fine condition dust wrapper with very slight creasing to the spine ends, price clipped. Dust wrapper supplied in archive acetate film protection, this protects and prolongs the life of the paper, it is not adhered to the book or to the dust wrapper. Member of the P.B.F.A. 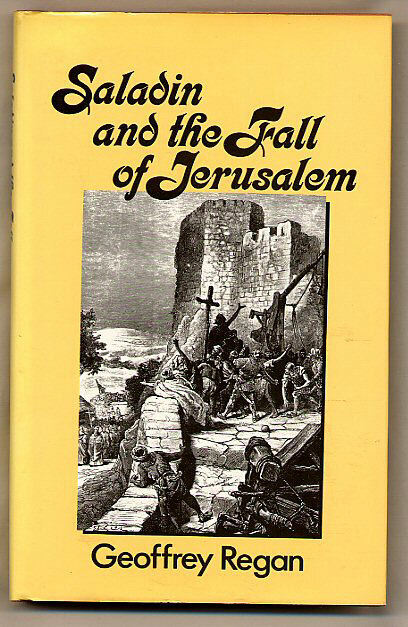 Published by Croom Helm, Ltd., Beckenham, Kent First Edition 1987.